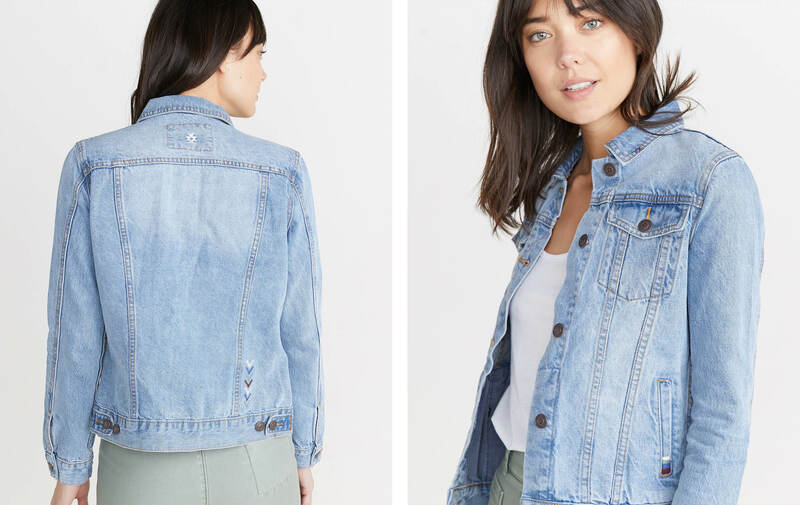 This classic denim jacket was made to feel like you've had it forever and have added little bits of embroidery to it over time. (We're giving you major crafty props, here). Our women's designer was inspired by the embroidery contests we saw at the Summer of Love exhibit, so she got out her needle and hand-stitched the first prototype. There's tons of little embroidery surprises all over it. I'm not even going to tell you where they are. It's up to you to find them. 100% cotton that's been washed down so it looks like you've had it forever. 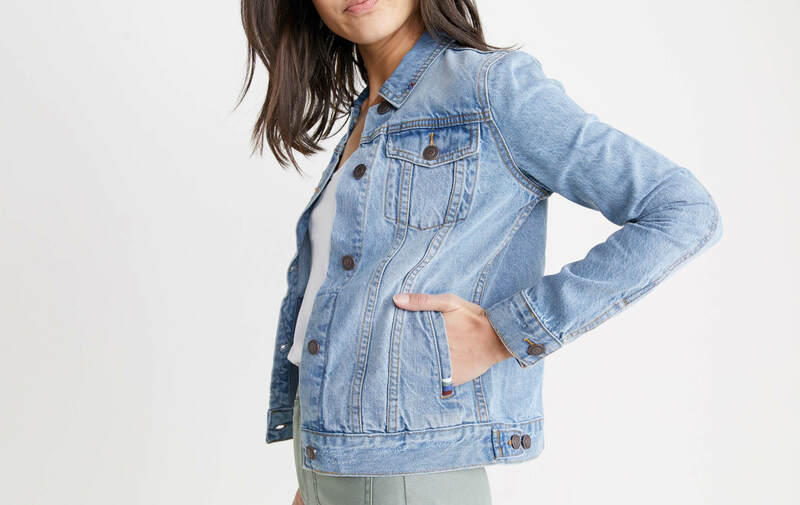 Contrast pinstripe inner pockets.